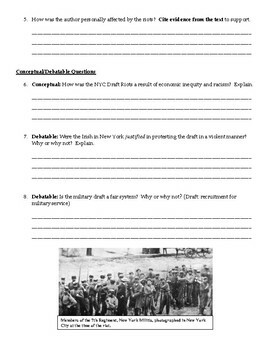 In this activity, students analyze the events of the NYC Draft riots through historical primary source documents. 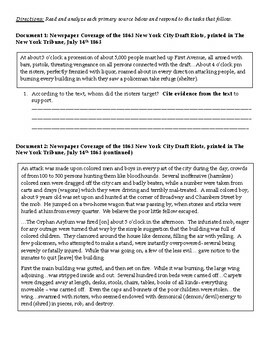 The historical context provides detailed background information. 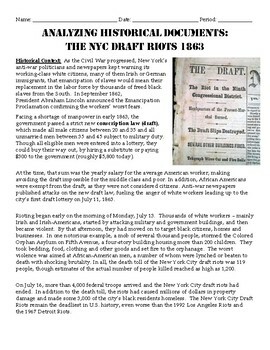 Primary sources include excerpts from a newspaper article printed in the New York Tribune in 1863, and a personal account of the riots by an eye witness.